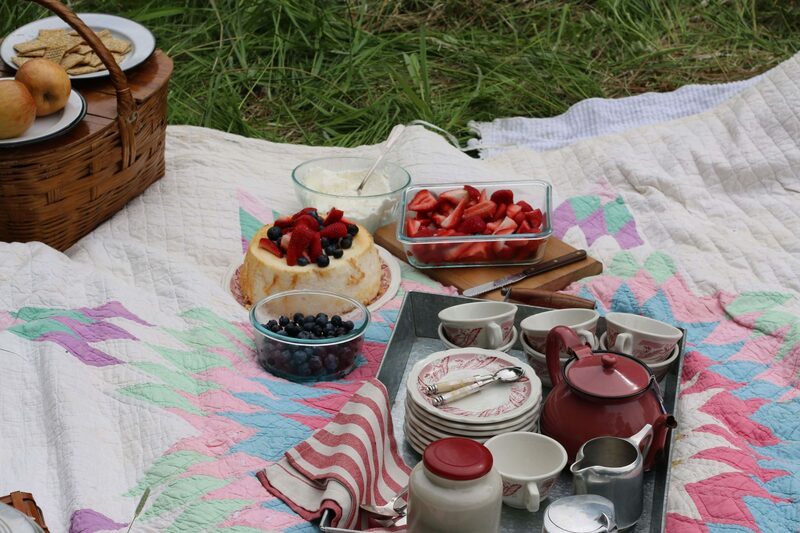 A picnic in the country with our Canvas Bell Tent. This Spring my husband and I started looking for a tent trailer with a budget of fifteen hundred dollars that we had saved up for this purpose. Our family wanted to get out of town on the weekends to forage, fish, swim, and relax. We looked at many tent trailers in this price range, they all had some issue (torn canvas, dirty, rotted floor) and to be honest, Daniel and I didn’t want another project. 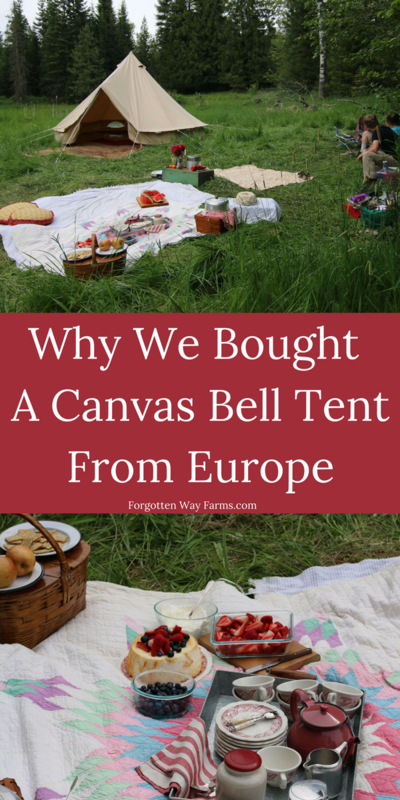 I was thoroughly discouraged with no prospect of finding one that would work for our family when my husband said, “Why don’t we buy a Canvas Bell Tent?” We have looked longingly at Canvas Bell Tents in the past and always thought it a dream to buy one. 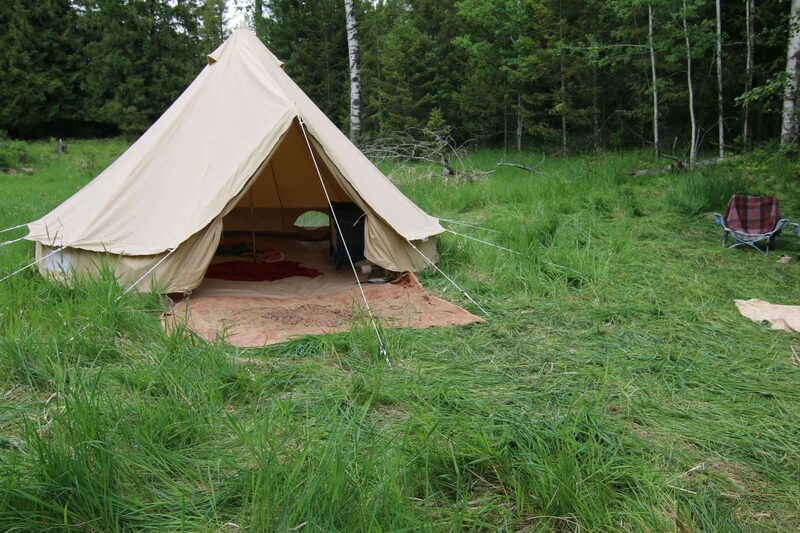 Well, we got looking at the Canvas Bell Tent in the large size (Sibley 500 Pro). It looked like it would fit our family and was hundreds of dollars less than what we were looking at in a tent trailer, plus way more romantic! I say that’s win-win in my book. This is the Canvas Tent we bought from Canvas Camp. This was our first outing with our lovely Canvas Bell Tent, sent all the way from Belgium. And you know what, I love it! Yes, I bring flowers and finery when out in the woods. 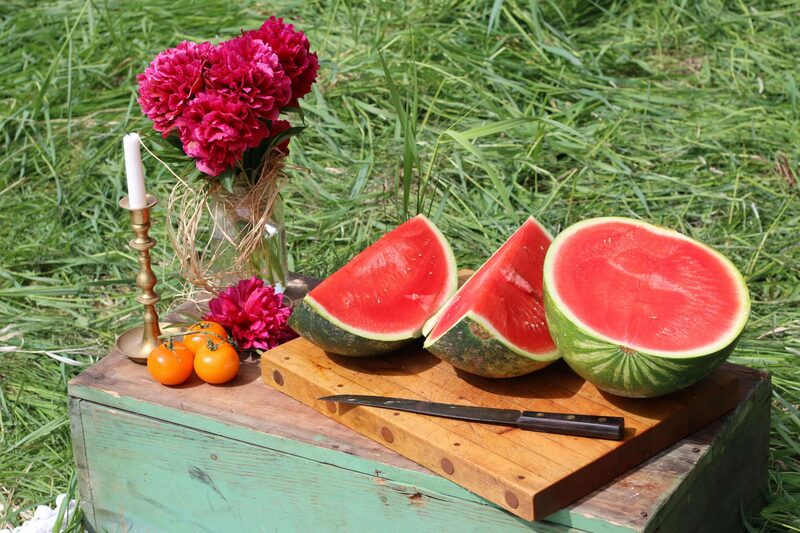 And I set up outdoor bathing areas on my homestead too, I am that kind of girl! We have been so busy tearing up our lawn and putting in new permaculture beds, filming a wedding, and building some new outdoor additions. We love to stay busy, but we are craving the woods now that we live in town. We plan on many more outings this year, and I hope to forage for lots of herbs, and food this Summer and Fall. These Canvas Bell Tents are so sturdy, and it took Daniel and the boys ten minutes to put it up. I think if we all helped we could have it up in five minutes. It’s hard to tell, but this Canvas Bell Tent is huge inside! It’s a circle shape with about 210 sq.ft. of room. This beautiful little piece of paradise is the homestead of some sweet new friends. They were so gracious to let us camp out in their wooded pasture with two ponds. We had a tea party in the afternoon with them, and it was all so nice. We didn’t want to leave; it was such a wonderful day of rest and fun. 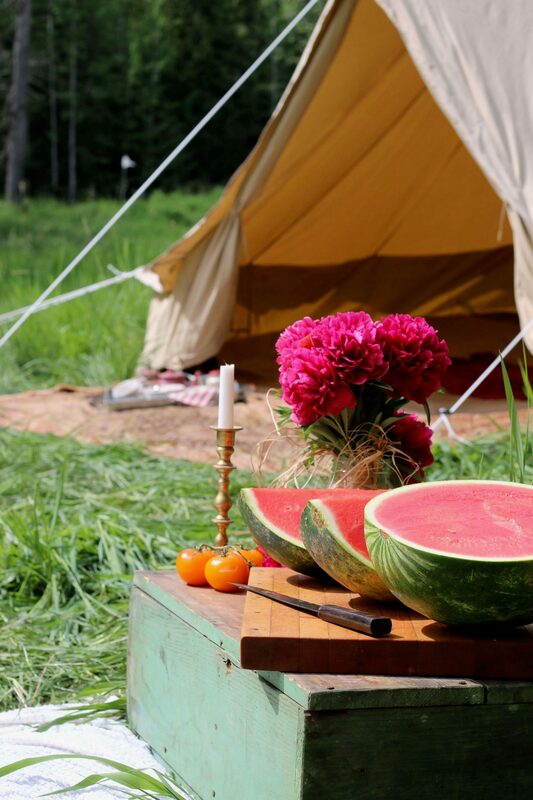 Update: It’s been three years now owning our Canvas Bell Tent and we still love it my list below will tell you why! We use it for extra guests, when we run out of room in the house, everyone wants to sleep in it (think Out of Africa, and romantic glamping). We use it to go camping. It was our second room when we were camping and trailersteading (“aka homesteading with a camping trailer”) with our kids a year ago. 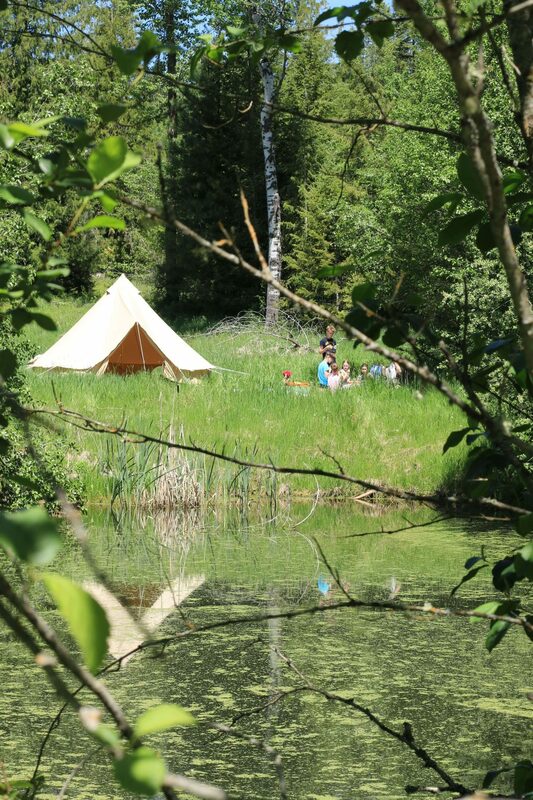 My four oldest children opted to live in the tent for six months and loved it, so much so that my daughter camps in the tent as much as she can throughout the year! It is often our home base for when we go out into the woods to forage for food. 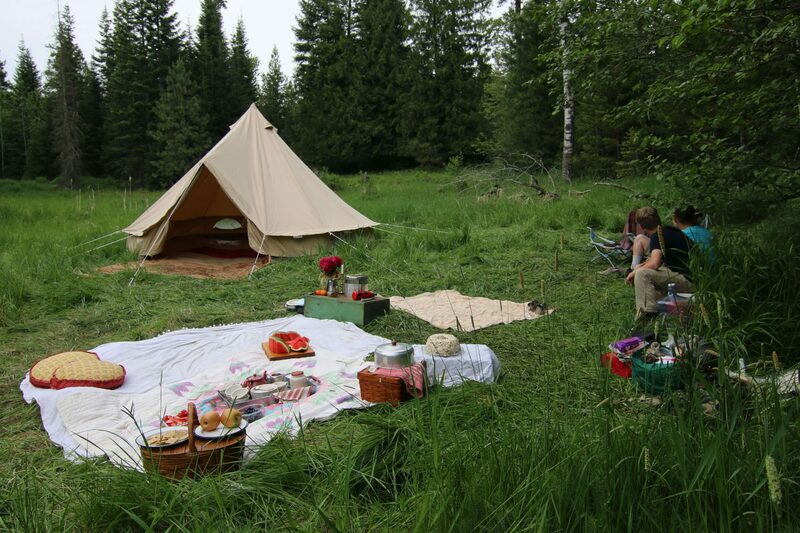 And I still drag it out when I go on day trips and picnics because I love this tent! Sharing a link to this great facebook group Free Camping life! What an amazing day you had! That tent looks so nice, and big….perfect for your family. Such lovely sunshine and the delicious treats I’m sure were devoured. Beautiful. So cozy. So inviting. 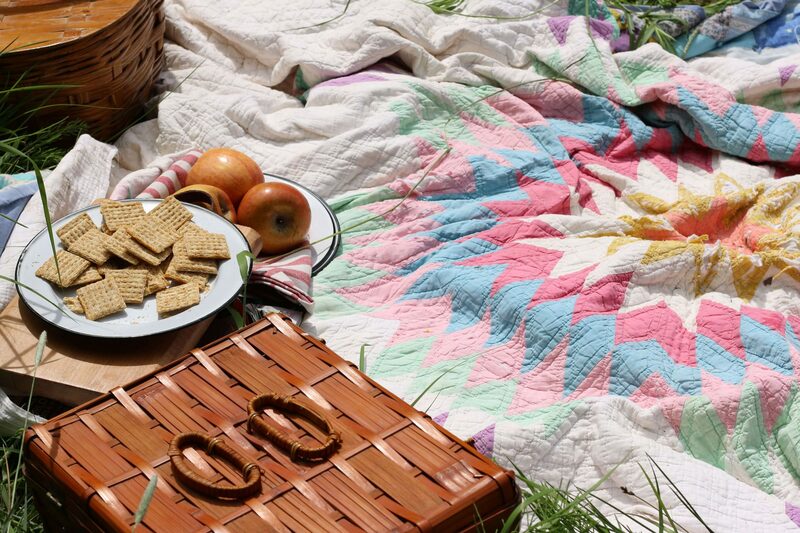 I love that you are the kind of girl who brings flowers to picnics and offers a unique guest experience. What a beautiful tent!